Andrea and I would rather ski on a big fat snowpack (in t-shirts) in May/June than on a shallow snowpack, scuffing up our bases on rocks in December. With WARM temperatures (high 50s) in the forecast, we decided to drive down to Moab after work on Friday afternoon for some more fun in the desert. Southern Utah has treated us very well this Fall. I got in a pair of runs on a favorite route (Kane Creek Road). We hiked around Arches National Park (had the place to ourselves). We rode our mountain bikes on the M-O-A-B brand trails (fun!). 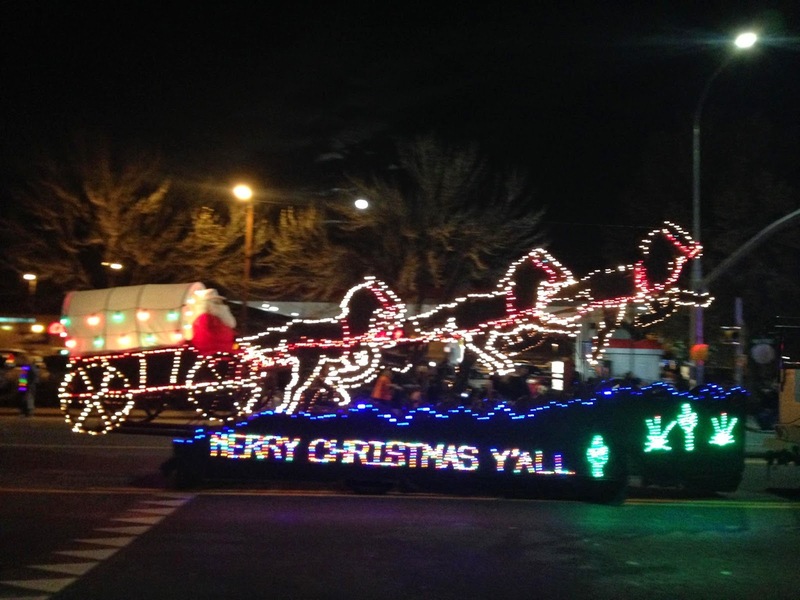 We stumbled across the Moab Christmas Electric Light Parade (who knew such an event existed?!). We went out for some good food (we highly recommend the Moab Brewery). Winter is coming. I don't know when we'll be down south again, but I'm itching for some ski mountaineering in the La Sal range next spring. Christmas Electric Parade in Moab. Surprisingly entertaining!